It’s one of the most classic and beloved cult films ever made. The Princess Bride is the story of the lengths to which a swashbuckling hero will go to save his beloved, and the resources on which she’ll draw to defend herself. Initially a tepid success, the film has become recognized as required viewing — and as time goes on, more oral histories of its making have emerged, painting a portrait of a truly unique production. One of the most startling things about it is the film that might have been, given the alternate casting choices under consideration. Arnold Schwarzenegger was considered for Fezzik, the role that eventually went to Andre the Giant. Though Schwarzenegger was a relatively minor actor when he was first suggested, by the time the film made he was far too expensive. Kareem Abdul-Jabar was also considered, but his sports schedule wouldn’t allow enough time for him to travel to Europe for filming. 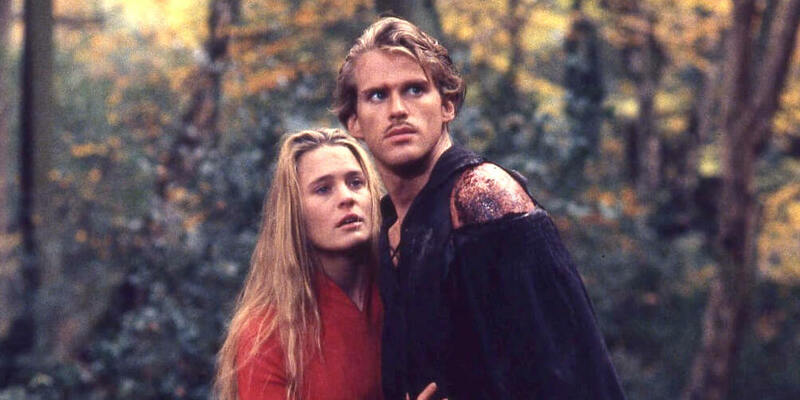 Christopher Reeve was considered for Westley, and for Princess Buttercup producers considered Uma Thurman (rejected as “too exotic”) as well as Courteney Cox and Meg Ryan. Whoopi Goldberg also lobbied for the part. William Goldman, who wrote the original book, wanted Carrie Fisher. Once the cast was in place, the production wasn’t without the occasional mishap — some very alarming. The worst was when Cary Elwes broke a toe while driving Andre the Giant’s ATV; he tried to keep it a secret, but you can see him limping in the swamp scene. Andre the Giant suffered during filming as well. His back problems prevented him from carrying the actors as called for in the script; so when it looks like he’s carrying Westley, Cary Elwes is actually walking along a platform. Robin Wright is suspended on cables. Another subtle injury: Mel Smith, who played the albino, was allergic to the contact lenses he had to wear. To this day, he hasn’t seen the film because of the painful memories. But for many of the cast and crew, the film was important on a personal level. Miracle Max, played by Billy Crystal, is based on Billy’s own grandmother. The characters of Max and Valerie are named for author William Goldman’s parents. The book itself was written for his daughters, one of whom requested a story about a princess and the other, a story about a bride. 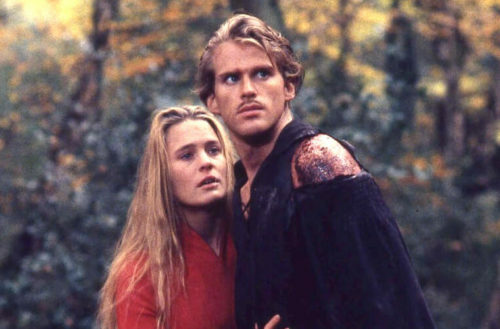 Robin Wright and Cary Elwes were crazy about each other off-camera during filming, and would find flimsy excuses to re-shoot a kiss scene at the end of the movie. And for Mandy Patinkin, fighting a man who killed his father brought back memories of his own father dying of cancer. Fighting the character in the film, he said, was like fighting the cancer that took his father. For director Rob Reiner, there are a few quiet personal touches as well. There’s a hat from his movie This is Spinal Tap hanging in the bedroom at the beginning of the film. Christopher Guest’s character has six fingers on one hand, for a total of eleven fingers — a reference to Reiner’s previous film, in which Guest’s amp goes up to eleven.